It started with the Grinch Who Muted Christmas Music. It ended with the last straw for me on Facebook after a decade wasting way too much time and productivity there. Here is the one thing you need to know about everybody's favorite addiction: Facebook is the devil. Ask Parliament. Make that co-devil. The incompetent, greedy conglomerates that ate the music industry are just as evil. I eagerly await the leak of their internal memos and emails. I don't know exactly why it took me this long -- and why the last straw was a geeky string of muted Facebook videos shot on my iPhone -- to delete my account. But here I am. 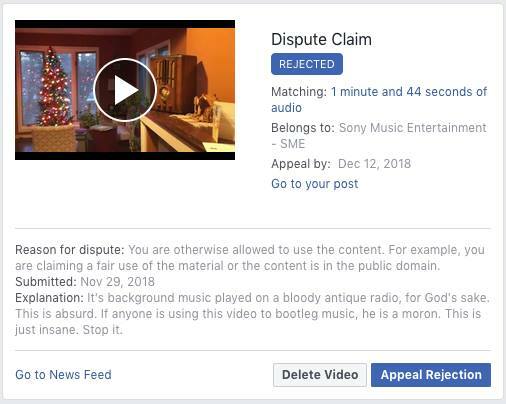 Last week, Facebook and Sony Music Entertainment decided that my 1936 Zenith, playing Christmas music in a video I posted last year, was a threat to the entire music-copyright regime. Thus, I was notified that, for all my Facebook friends and enemies, the sound of yuletide also would be the sound of silence. It's background music played on a bloody antique radio, for God's sake. This is absurd. If anyone is using this video to bootleg music, he is a moron. This is just insane. Stop it. THIS WEEK, Russia's favorite social-media platform, some other bunch of music charlatans muted a nerdy, geekly little iPhone video of a 1949 7-inch single playing on my 1957 Zenith record changer. I thought it was a bit of audio-enthusiast fun with sufficiently not-good-enough-to-pirate audio. Which no one was making a penny off of. Corporate America thought it was a mortal threat. You know, like women smoking cigarettes are for the Islamic State. 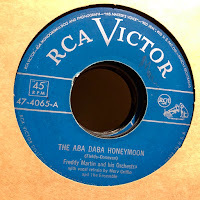 And last night, after the copyright Nazis yet again muted the audio on a video of another exceedingly old 45 I got at an estate sale, the reason for my disgust crystallized in my mind. Short version: Facebook is the devil. Long version: It seems that Facebook is a corporate entity dedicated to eating the capitalistic and societal seed corn. I think you reach that point on a couple of levels -- you successfully addict people to your product, then spend years abjectly exploiting them while you destroy, bit-by-bit, the product's value and utility. The second level? A good example is the virtual impossibility of posting genial little videos like those of mine that keep getting muted (because ambient-sound music on iPhone videos obviously will destroy all music sales on every level). It illustrates a larger issue about Facebook that doesn't bode well for our country (anyone's country, actually) or our society. Basically, it's a crapload easier to post the worst kind of racist propaganda and hatred, then have it stay on the platform and spread like a metastasizing cancer than it is to post a geeky, innocent video of a radio or a record playing that's more likely just to make people smile and wax nostalgic. Then we have Boris and Natasha. 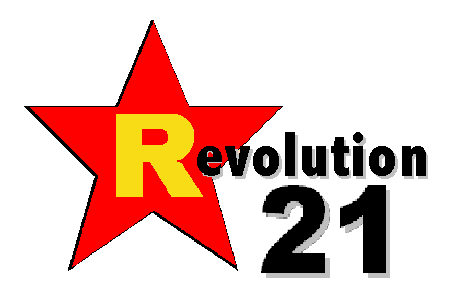 Has it not been extensively documented how simple it was for Russian saboteurs to flood Facebook with abject fakery and disinformation in order to steal an American presidential election and perhaps fatally undermine the world's greatest democracy? THIS IS what happens during the terminal stages of capitalism and capitalistic societies, when human beings -- citizens of advanced Western nation states -- are nothing but pieces of meat whose utility ends at the point some corporate entity extracts their last dime. Bigotry and hatred, corporate America can monetize via platforms like Facebook in much the same manner Donald Trump turns it into political capital. 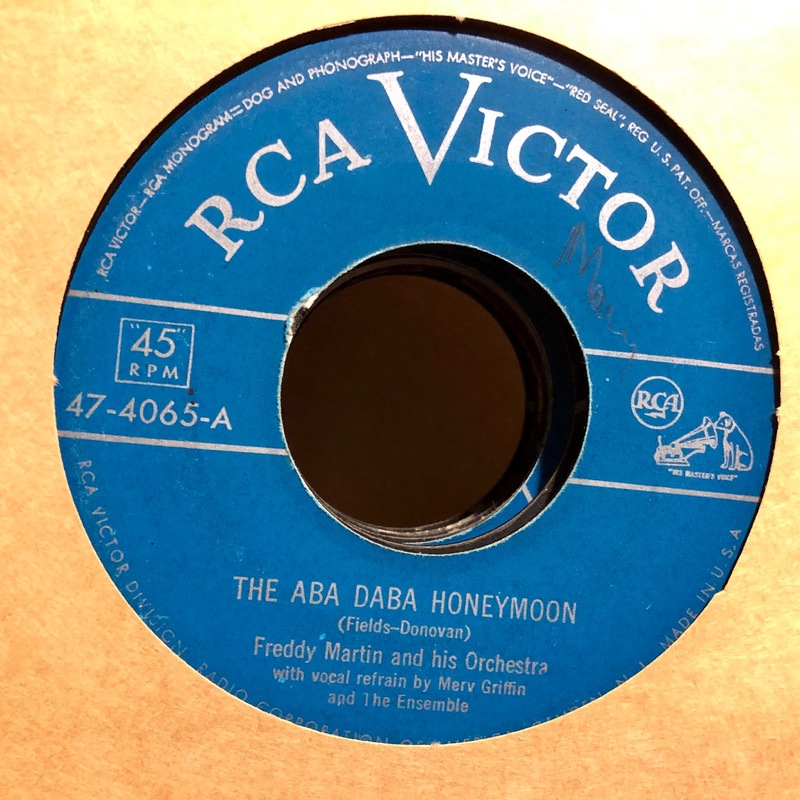 Stupid little videos of old record players playing old records -- or old radios playing Christmas music -- are not nearly so profitable for the platform or those to whom it sells your personal information. Indeed, some music-industry megalith sees your stupid little video as imperiling the extraction of the last nickel from an industry mortally wounded by those self-same corporations' overarching greed and lack of marketing vision. Not to put too fine a point on it, when you find that you're spending too much time somewhere that expressly makes it easier to do bad than good . . . run. Run far away. That's what I'm doing -- running. Plus, if I'm exposed to much more of the average level of language-arts proficiency on Facebook, I'm gonna regress to communicating via clicks and grunts. I suppose one could write strongly worded letters to our corporate overlords. That, however, would take years and cramp millions of fingers. It also, I betting, would avail us nothing. Or . . . you starve the bastards. Tragically, the only universal language (and common value) today is money. If they can't sell my eyeballs to advertisers, Facebook is diminished just a little. If Facebook can't sell 500 million eyeballs to marketers, it's screwed. I mean, how many f***ing selfies can you take and overshare? Am I right? Bye, Facebook. I can feel life becoming simpler (and less overshared) already. 3 Chords & the Truth: Dude! Merry Christmas! 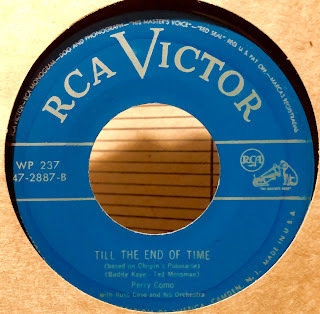 3 Chords & the Truth: The Then Sound?